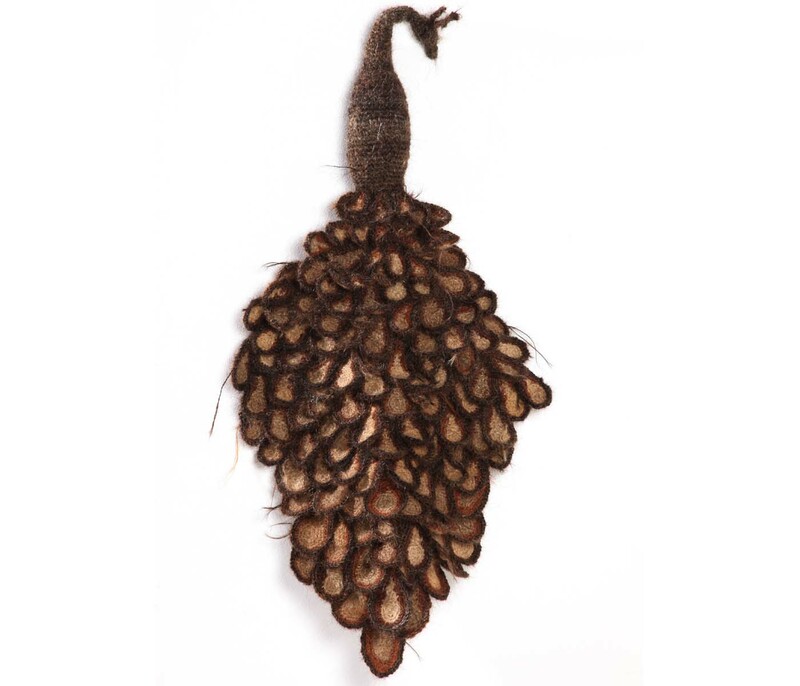 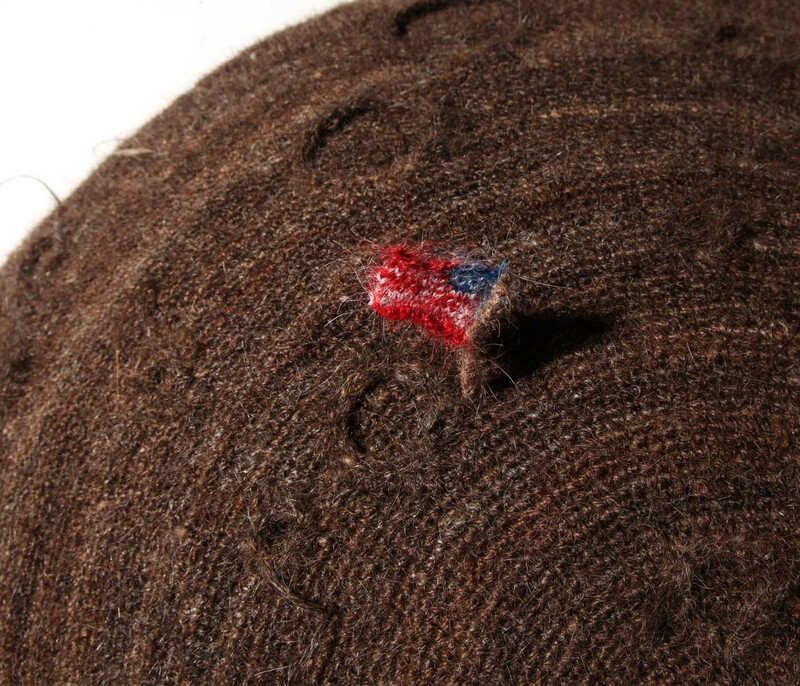 Peacock crochet of human hair. 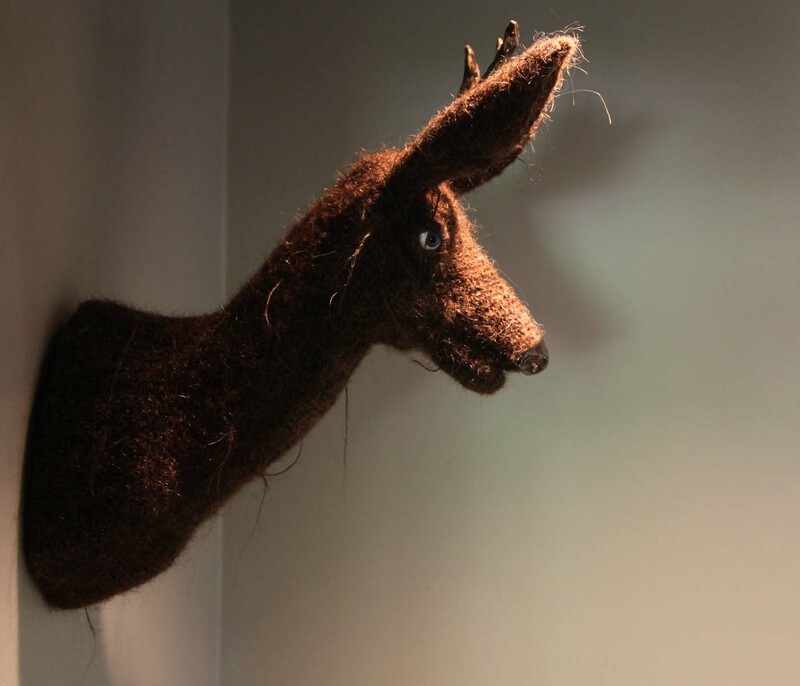 Deer head crochet from human hair, nose and horns made of ceramics and with bleu glass eyes. 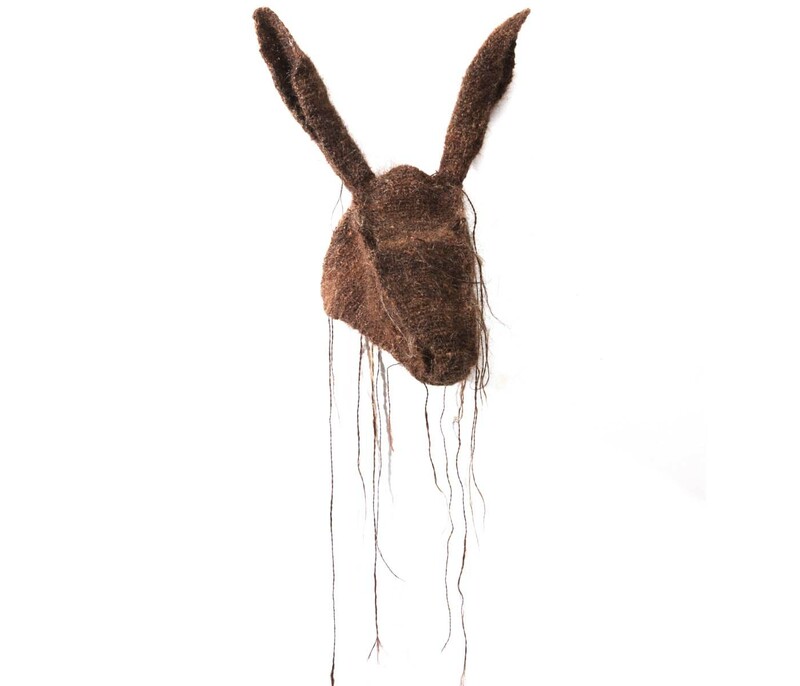 Donkey mask crochet of human hair. 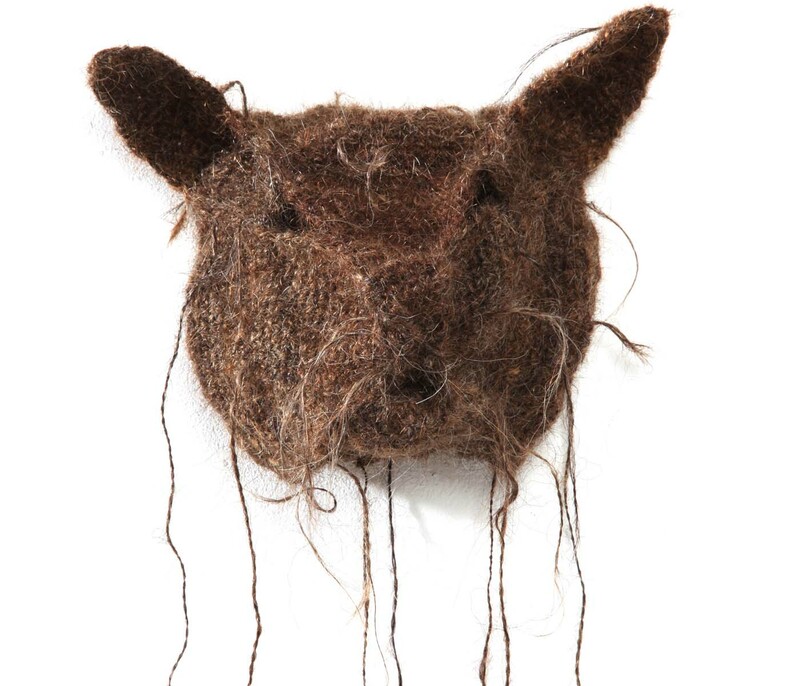 Cat mask crochet of human hair. 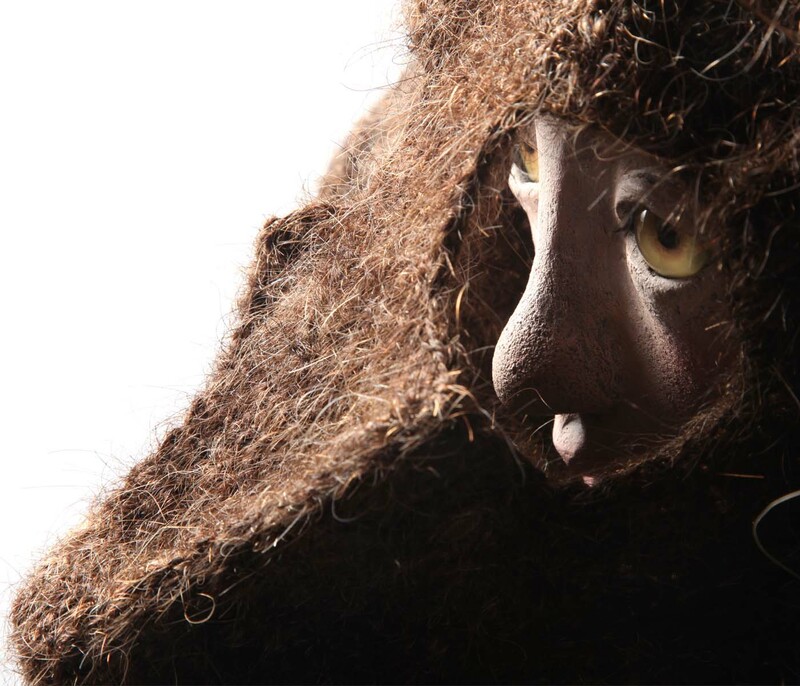 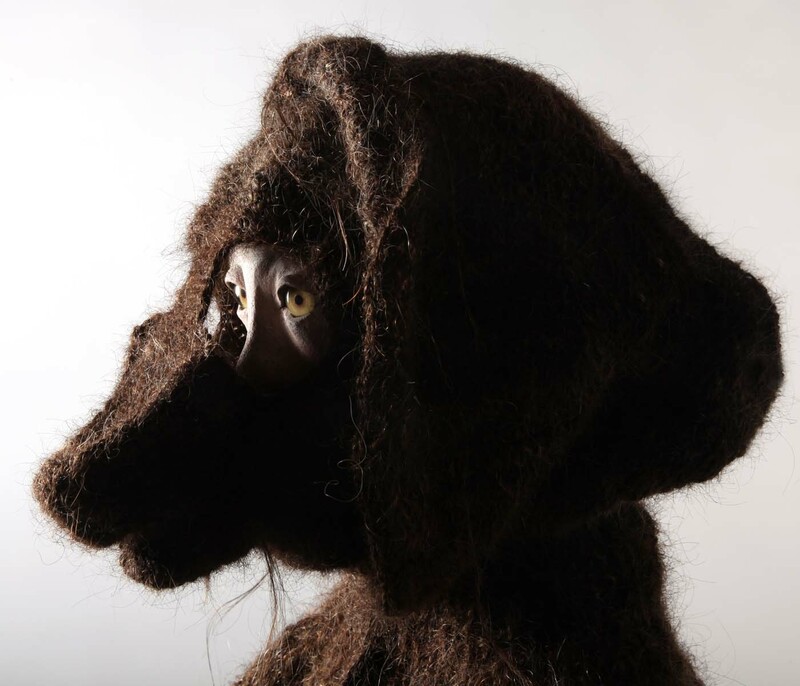 Lam mask crochet of human hair. 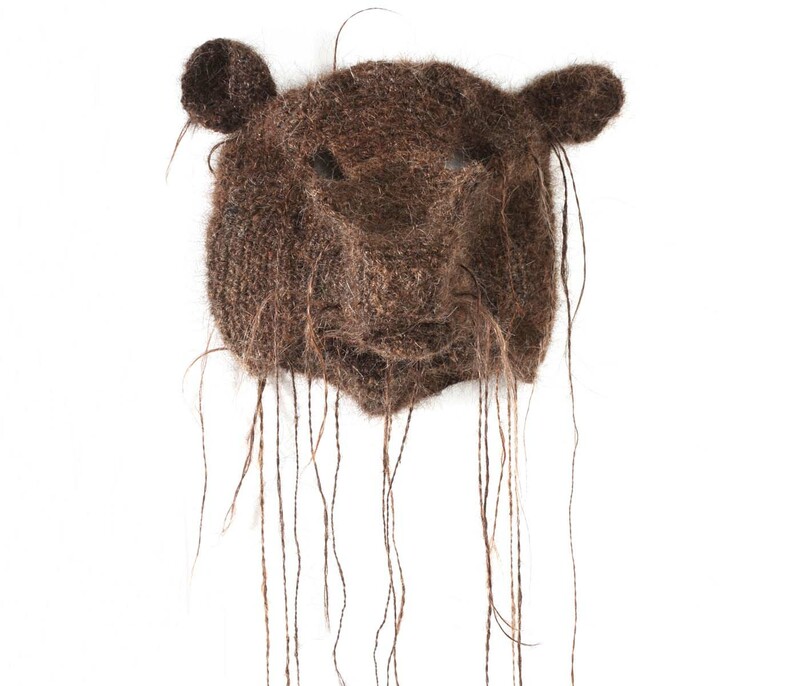 Bear mask crochet of human hair. 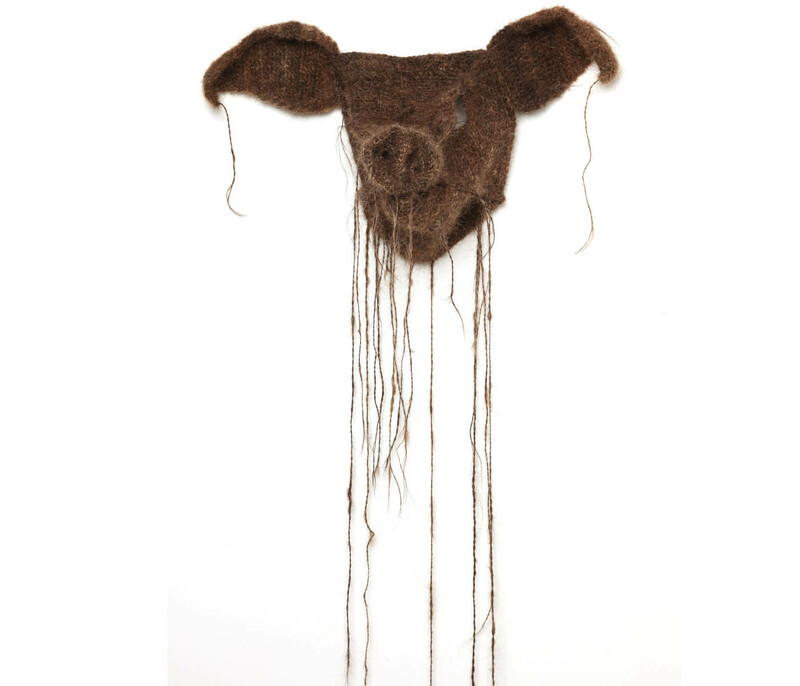 Pig mask crochet of human hair. 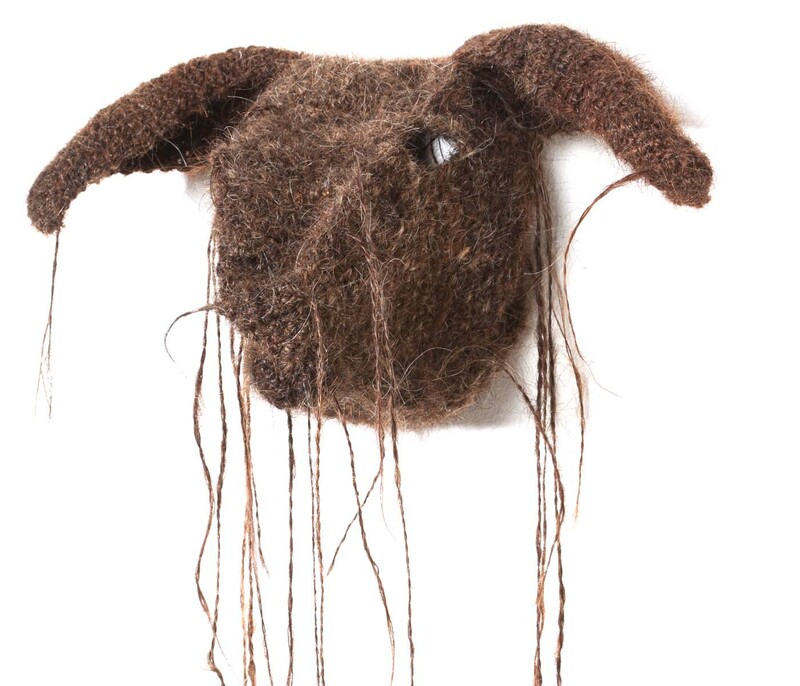 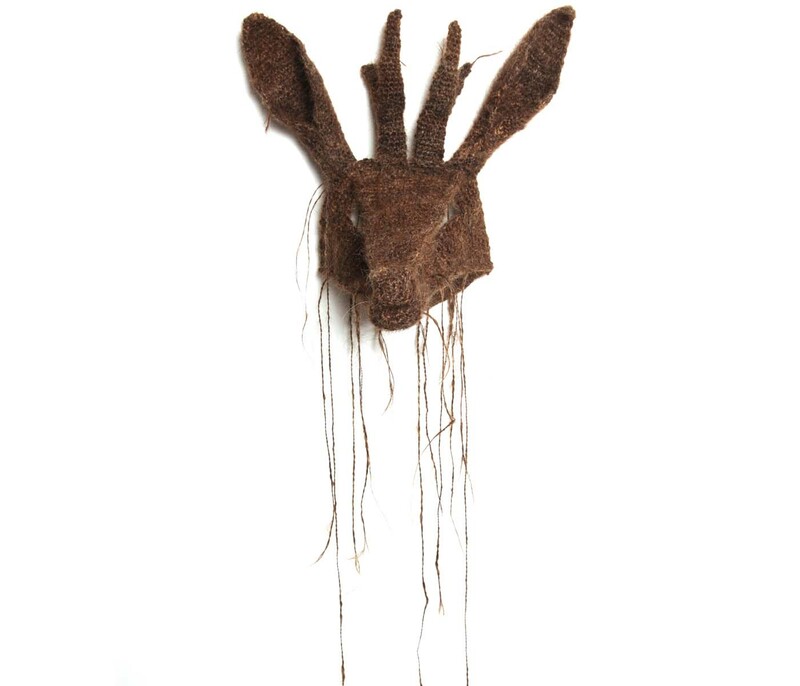 Deer mask crochet of human hair. 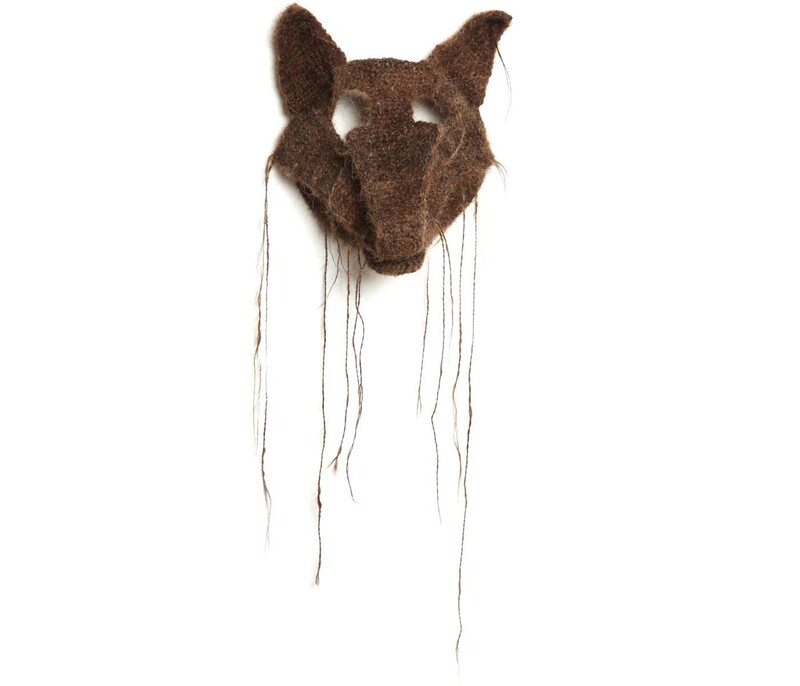 Wolf mask crochet of human hair. 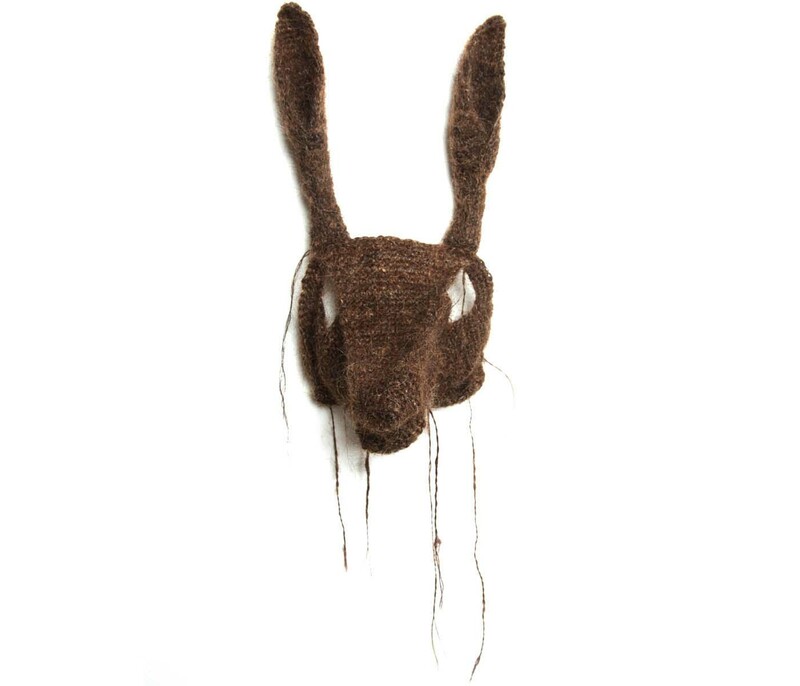 Hare mask crochet of human hair. 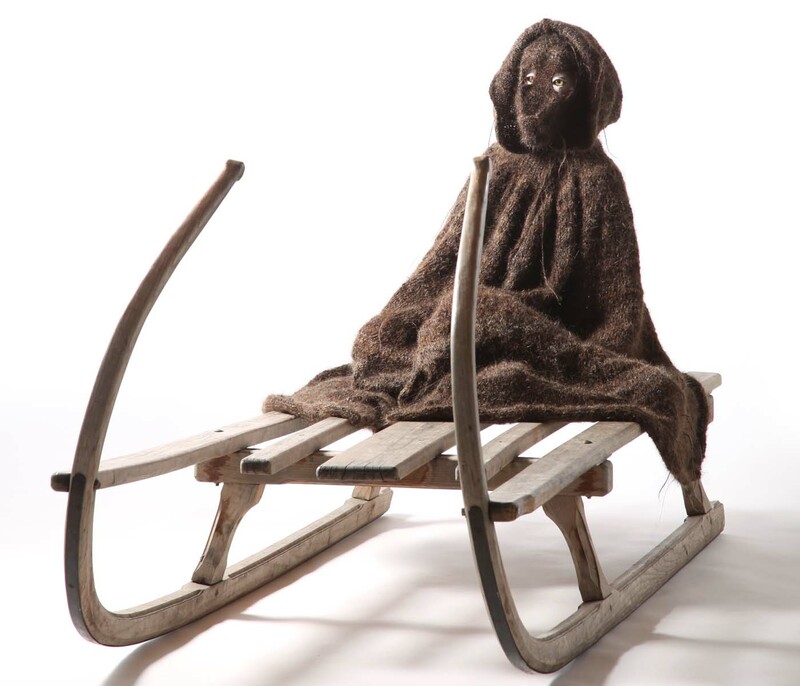 Hugh wooden sledge with life-size girl figure, dressed in a knitted cape and crochet wolf-mask, made from human hair. 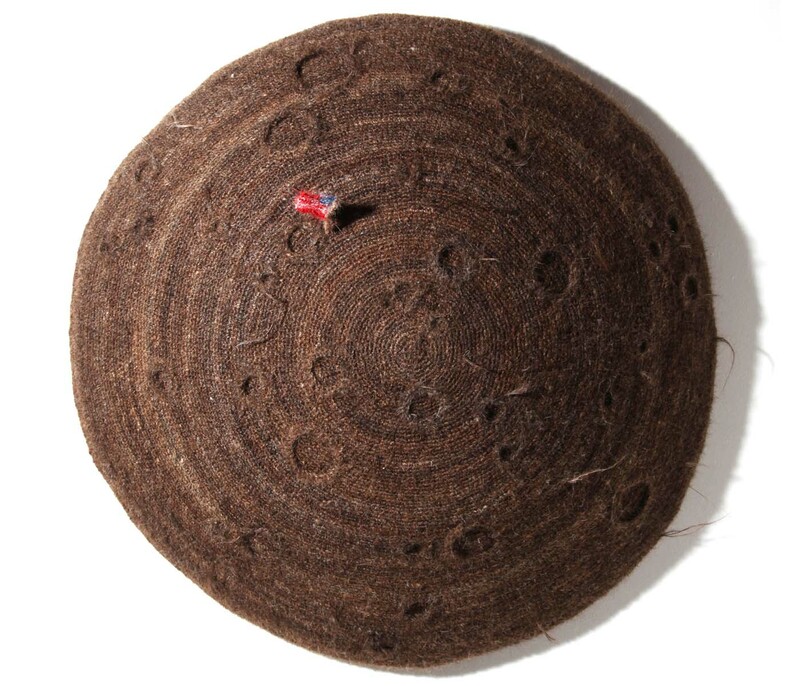 Moon with American Flag, crochet with human hair. 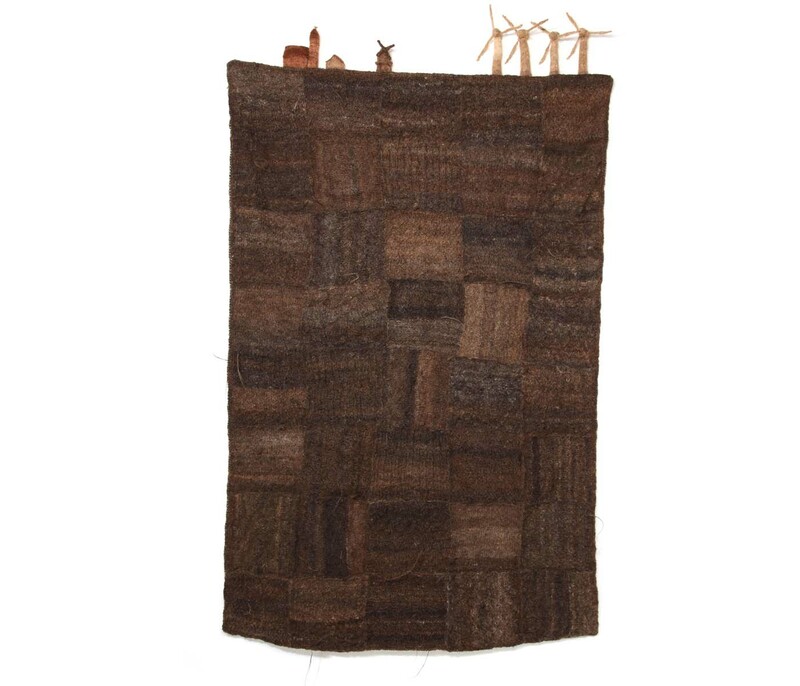 Hand knitted wall-carpet made of human hair. 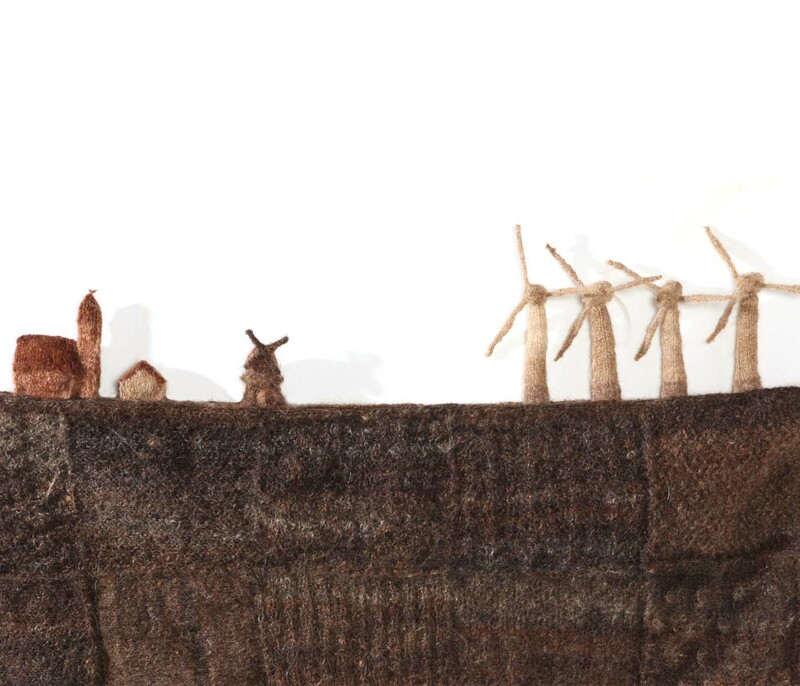 The horizon is filled with a church, house, old windmill and energy turbines.